I want to share with you guys the easiest DIY project ever! I feel like I’m always saying that but seriously this is so so easy. 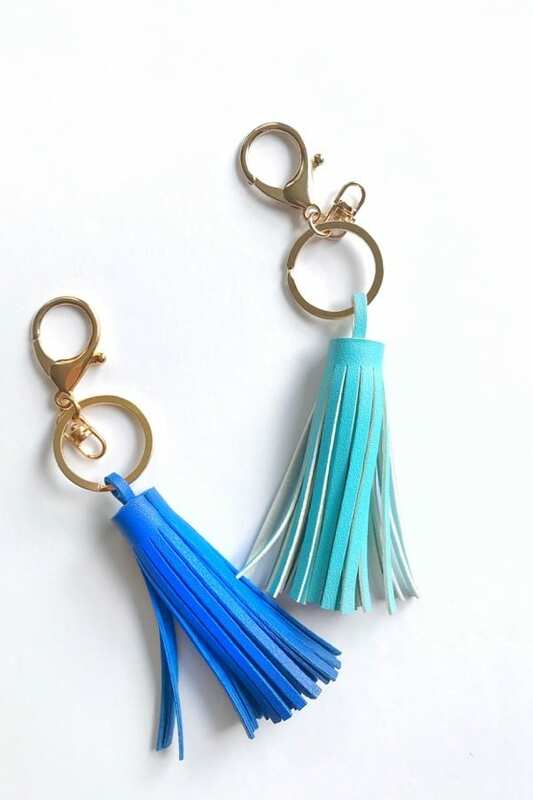 I’ve been seeing these tassel keychains everywhere and they are so cute! Some of them are actually pretty pricey too (for a keychain, I mean) – $40 or more. Crazy. Some of them come with phone chargers too which I actually think is pretty neat. 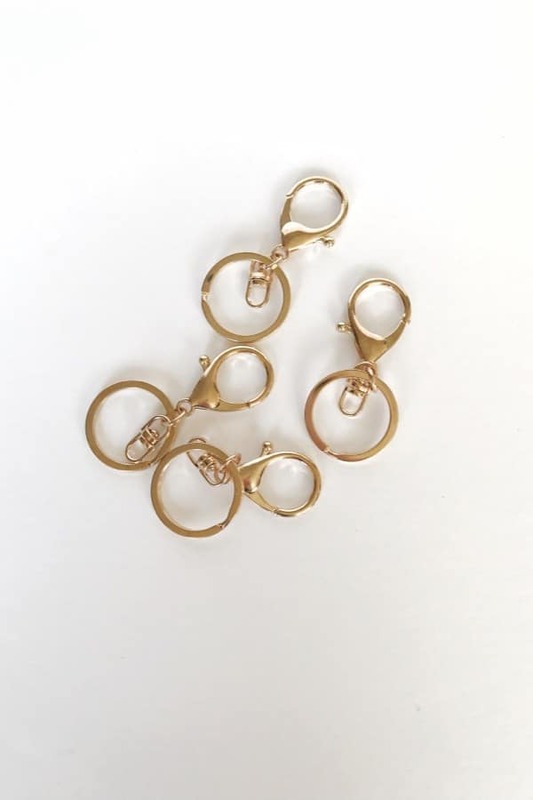 I actually love them as an accessory on your purse, rather than an actual keychain, but I’m thinking of making more to actually add on to my keyring. For this tutorial, you are literally just assembling. See, easy! It will take you less than minute really. With the holidays coming up, this could make a cute little add on gift to a friend or relative – or, as a little accessory to your gift wrapped presents that they can take with them. 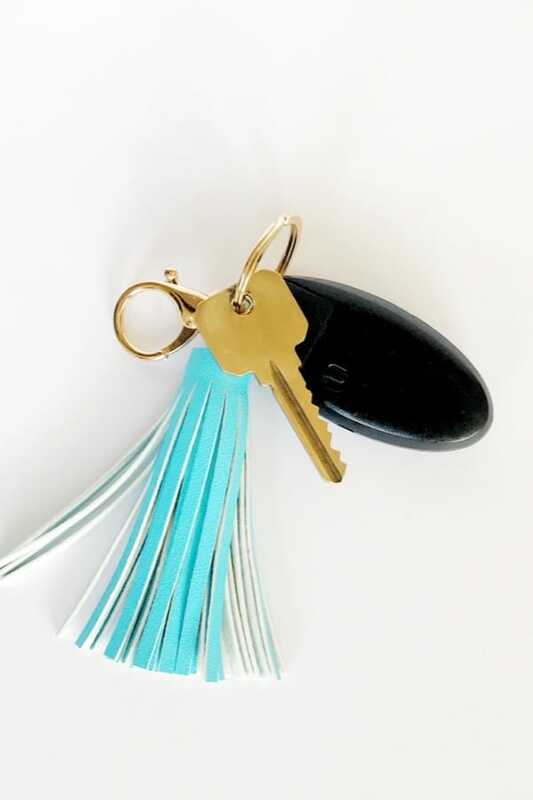 Here’s the tutorial for this stylish leather tassel keychain. 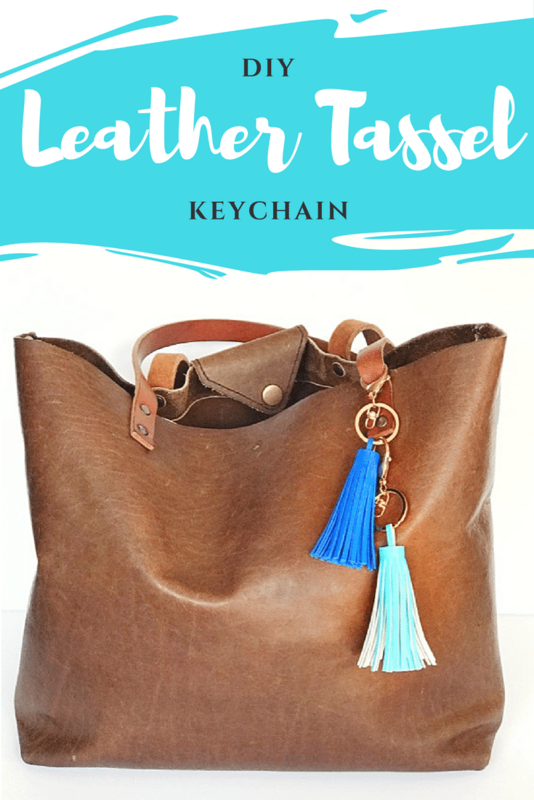 Leather Tassels – The tassels I used are no longer available but I found these ready made tassels and they are also cute! They come in different colors! Keychains – I used these keychains. I chose gold for this tutorial but they have silver available too – just search for it. You probably figured this out but I’ll include it here. I couldn’t even break this down into steps because it’s so easy. 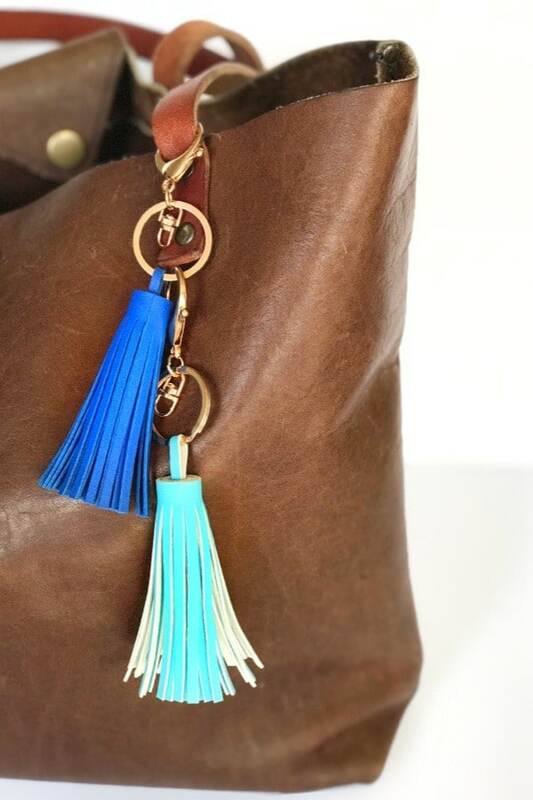 You are literally just attaching this leather tassel to your keyring. Done! 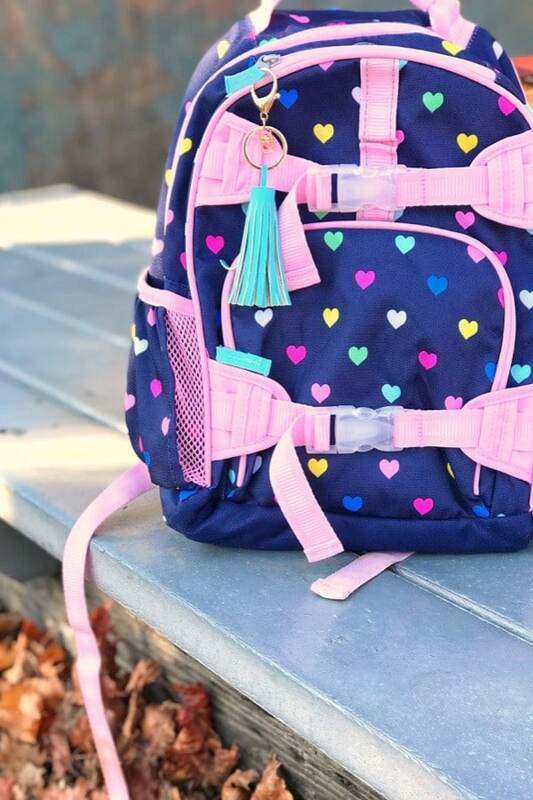 On your child’s backpack too! I hope you guys enjoyed this! Let me know what you think in the comments or if you have any questions- I would LOVE to hear from you. Please stay tuned for more exciting things to come on the blog. Thanks so much for reading guys! 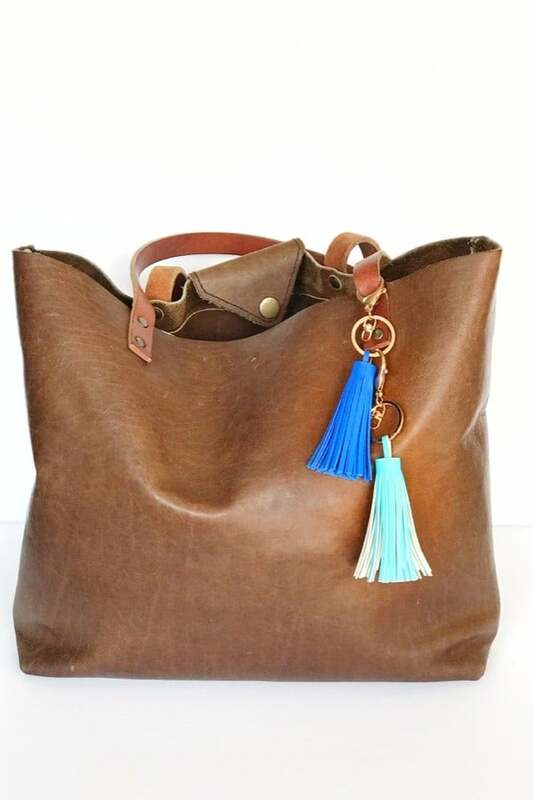 Love this bag!! Where did you get it? Hi Jen! Thanks so much! I really love this bag too and use it almost every day. I got it from an Etsy shop called Portland Leather Goods. Here’s the link to it – https://www.etsy.com/shop/PortlandLeather?ref=l2-shop-header-avatar. Everything is handmade!